Well new year, new me has never rung truer as here we are with a Birchbox Unboxing! 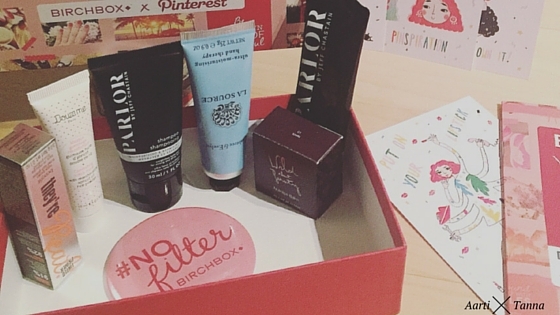 So this month Birchbox have teamed up with Pinterest to give us the BEST.YEAR.EVER. box and it really has started the year off with a BANG! Firstly, before I jump into the contents of this months box can I just give a shout out to how amazing the idea to team up with Pinterest was. Not only is the box absolutely beautiful and has found it's place on top of my vanity but what better way to start the year's inspiration off than to incorporate the inspiration cyberspace hub that is Pinterest?! Let me start off with the product that I'm most excited to test drive this month and it's the benefit mascara primer! I've seen this product floating around for a little while back with some of my favourite Beauty Gurus showcasing it on their snapchat so it be able to get my hands on a little sample size is fantastic! Can't wait to give this a go..so expect a review up very soon! Parlour are a brand I have got to know about directly through Birchbox. Before my subscription I had never heard of them before but I'm glad I've discovered this hair gem! I'm excited to try out the shampoo and conditioner combo after becoming a huge fan of their sea salt spray from a previous box. The samples have come just in time for me to test drive during my weekend away - but Birchbox PLEASE give a little more conditioner in the samples for long, thick haired girls like me! Again another brand I hadn't heard of before my unboxing this month but am excited to give a try. I've been eyeing up some of The Body Shop's hand lotions and creams so this looks like a great alternative and it's already found it's way into my handbag to used when I'm on the go! In every box there is always some sort of "meh" product and for me I think it has to be this one. I'm not a huge fan of lipsticks or glosses and this balm isn't really up my alley either. Firstly, the germaphobe in me hates the packaging and dip pot is impossible for me to use considering the size of my nails but after using a tool to get some product out and give it a go I'm not crazily impressed. Nothing terrible, nothing amazing. What a cutie of a gift! Okay it's just a mirror so don't expect an indepth first impressions note here but commenting on the packaging I think it looks beautiful. Again it's already in my handbag and is the perfect size to pull out for a moment of vanity! And there you have it! 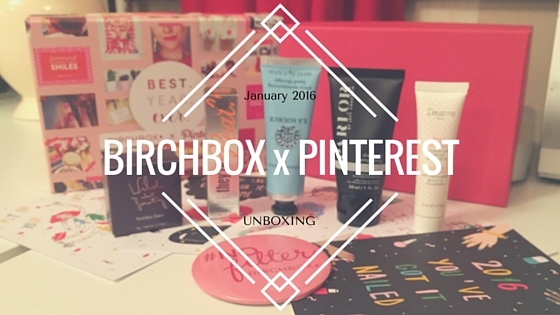 That's my rundown of the January 2016 Birchbox x Pinterest Box! In general, I am pretty pleased with this months collection of goodies and there are a few products I cannot wait to try out! 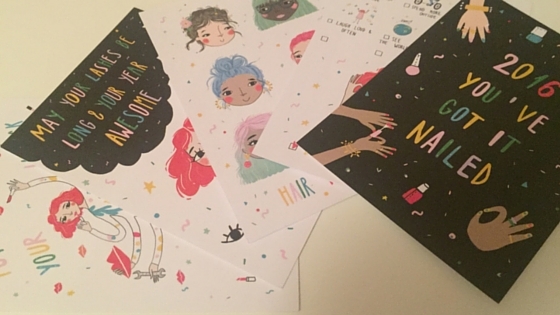 Not to mention the adorable postcards in the box have been put up onto my shelf are such fun, positive bursts of happiness for me to see every morning. Would love to know what you got in your Birchbox this month? Any of the same products? Are you a fan of subscription boxes? 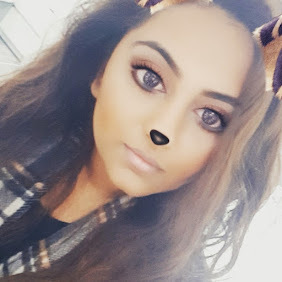 Interact with me!